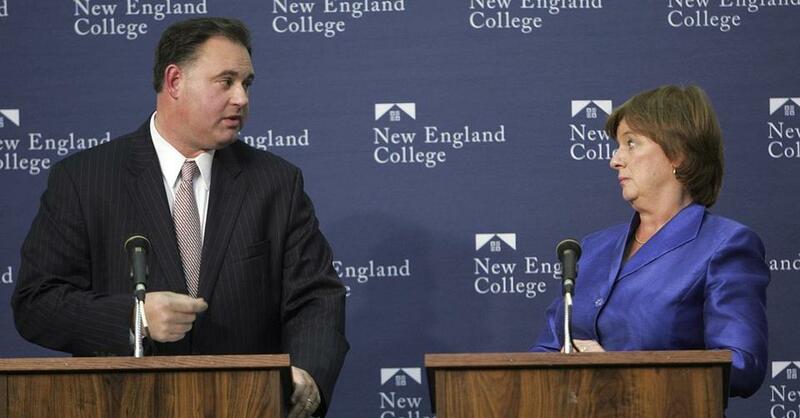 Republican Frank Guinta (left) and Democrat Carol Shea-Porter sparred during a debate in 2010. MANCHESTER, N.H. — New Hampshire residents have their seasonal rituals. In the winter, they ski in the White Mountains. In the spring, they tap trees for sugar. In the summer, they visit Hampton Beach. And in every other fall for nearly a decade, they choose between the same two candidates for Congress. For the fourth election in a row, Republican Frank Guinta and Democrat Carol Shea-Porter will square off in the state’s First District — the swingiest congressional district in the nation. To say they have history with each other is an understatement. Shea-Porter ousted Guinta’s former boss, Jeb Bradley, in 2006, and defeated him again in 2008. Then Guinta defeated Shea-Porter two years later. She beat him in 2012, and he beat her in 2014. Now polls taken throughout the last year indicate Shea-Porter is on track to defeat him again in 2016. 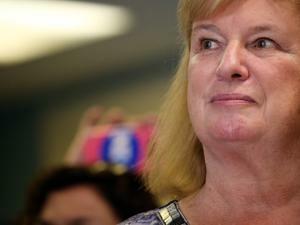 Carol Shea-Porter wants to return to Washington. Never before in New Hampshire history have the same two candidates run against each other four times for Congress, much less consecutively. One reason: The First District’s voter registrations are evenly split among Republicans, Independents, and Democrats. Neither refused to rule out running again in 2018 should they lose — although both said they expect to win in November. 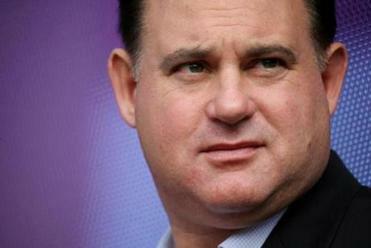 “I don’t look past the election I am in,” Guinta said. But it’s not just the candidates who might be getting sick of seeing the same person on the debate stage. Some voters also said they are getting tired of this lineup. “You’d think that we would have other choices by now. It is getting crazy,” said Brian Tobin, a Manchester resident. Bob Walters, a Republican who works in retail in Manchester, said he is sure the same candidates won’t pair off again. Their fourth matchup makes history in New Hampshire. In five other instances in state history, the same candidates faced off three times, a situation that began with Democrat Daniel Marcy running against Republican Gilman Marston in the 1858, 1860, and 1864 elections. But it’s never happened four times in the state. A national analysis of historical election results by University of Minnesota professor Eric Ostermeier found that once a candidate gets to the third contest against the same opponent, the situation typically involves an strong incumbent and a challenger who has no chance of winning. Ostermeier also found the all-time national record for repeat races could have been set in Wisconsin in the early 1900s, when the same opponents faced each other nine times for Congress, including six times in a row. Earlier this year, it looked as though neither Guinta nor Shea-Porter would run for the seat this year. Frank Guinta won matchups with Shea-Porter in 2010 and 2014. Guinta was facing calls to resign from every prominent Republican in the state and major newspaper in the district. After years of saying he did not illegally accept $355,000 in campaign funds from his parents, he reached a settlement with the Federal Election Commission in 2015 that resulted in a fine and him paying all the money back. The settlement served as a tacit admission of guilt, although Guinta maintains he did nothing wrong. Several quality primary challengers quickly emerged, including one Republican who came close to defeating him two years ago. Eventually Guinta faced off against just one opponent, businessman Rich Ashooh, who ended up losing on Sept. 13. It was a remarkable comeback for Guinta: Five months earlier, a poll showed just 6 percent of Republicans in the district said they would vote to reelect him. But the same committee made a similar effort ahead of the 2012 elections when it tried to recruit Maggie Hassan to run in the First District primary. She decided to run for governor instead, avoiding a primary with Shea-Porter. In the end, Shea-Porter has proven as tough to beat in a Democratic primary as Guinta is in a Republican primary. That’s how the two have found themselves facing off so many times — and could do so again in the future. Wasserman, the political analyst, said it is logical that the pair will face off in 2018. “In 2018, because Republicans do better in midterm elections, it will be a great opportunity for Guinta to win back the seat,” he said.